However, it’s with good reason. Victor Cafe started off as a gramophone shop originally opened by an Italian immigrant in 1918. 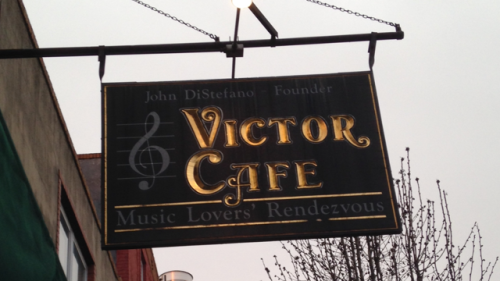 John DiStefano created a place where people could relax with an espresso listening to classical, opera and contemporary music. DiStefano often visited the head honchos at RCA Victor and became well respected thanks to his knowledge and musical taste. He served as an unofficial advisor to the label, helping the careers of several artists who became big names. 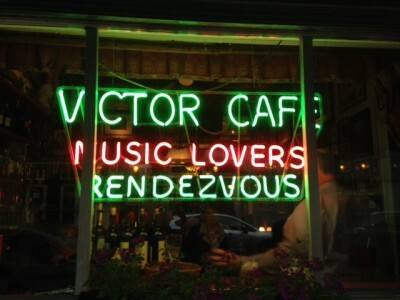 After the repeal of prohibition in 1933, he decided to get a beer and wine license and turned his gramophone store into the Victor Cafe a “music lover’s rendezvous”. In 1979, a server working at the restaurant who was also an opera singer began singing for his tables and a tradition was born. 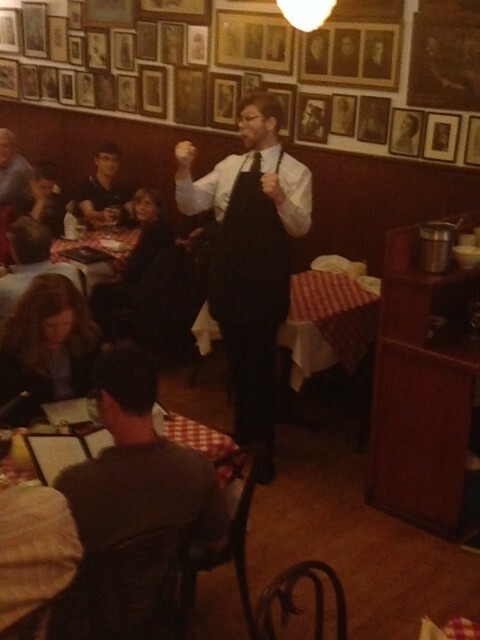 Ever since, the entire wait staff at the Victor Cafe must audition in order to snag a job at the highly exclusive restaurant. 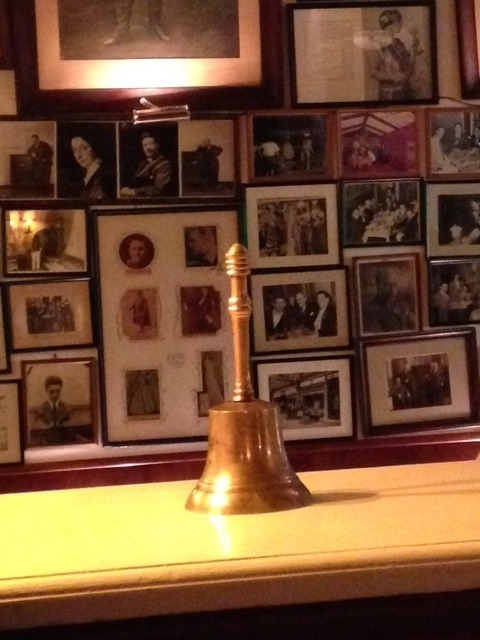 The walls of the cafe are filled with pictures and records of opera singers and celebrities that have graced through Victor’s doors. 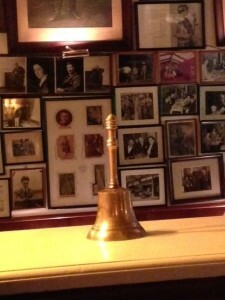 As if the walls weren’t entertainment enough, every 20 minutes a bell that is perched on a staircase that connects the two dining rooms is rang by a server. They give a brief introduction of themselves and the piece they will be singing and within seconds, someone starts a musical track to accompany their song selection. There are no showtimes, no set lists and they don’t take requests. Many of the servers are professional opera singers and come back to the Victor Cafe between gigs while some are in school studying to be a professional singer. 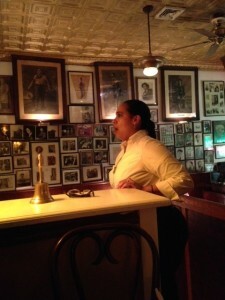 Performances can range from soulful and heartfelt, to dramatic and even comedic. 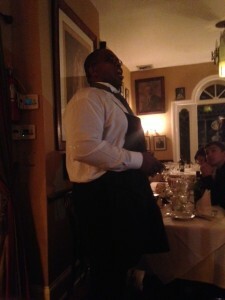 I even got to see a duet between two servers that they had been practicing and was performed for the first time right in front of me. 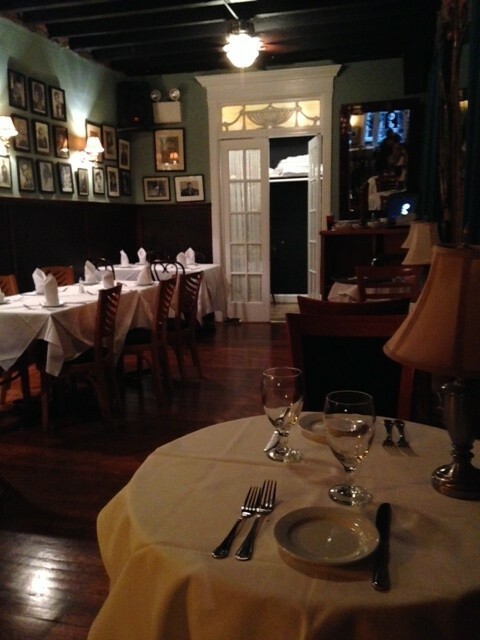 In 2006, Sylvester Stallone personally selected the Victor Cafe to be used in the most recent chapter of the Rocky franchise, “Rocky Balboa.” The location was used as the fictional Adrian’s restaurant in the film. For three weeks, the crew used the restaurant and surrounding streets to shoot and the cast, including Sly Stallone, who frequented the restaurant at night and on weekends. Stallone loved the Victor so much that he incorporated the opera singing into the film! The menu consists of classic Italian dishes, all done to order with great attention to detail. I had the pan seared chicken “La Tosca,” a chicken breast stuffed with Fontina cheese and prosciutto over creamy polenta. 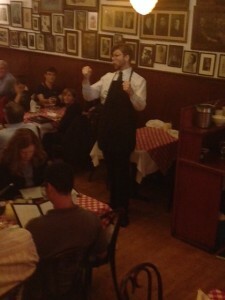 It was the best Italian dish I have had in years in any restaurant anywhere. My date had the “Pomodoro Basilico,” pasta with fresh tomatoes, olive oil, garlic, basil and fresh mozzarella. Amazing. 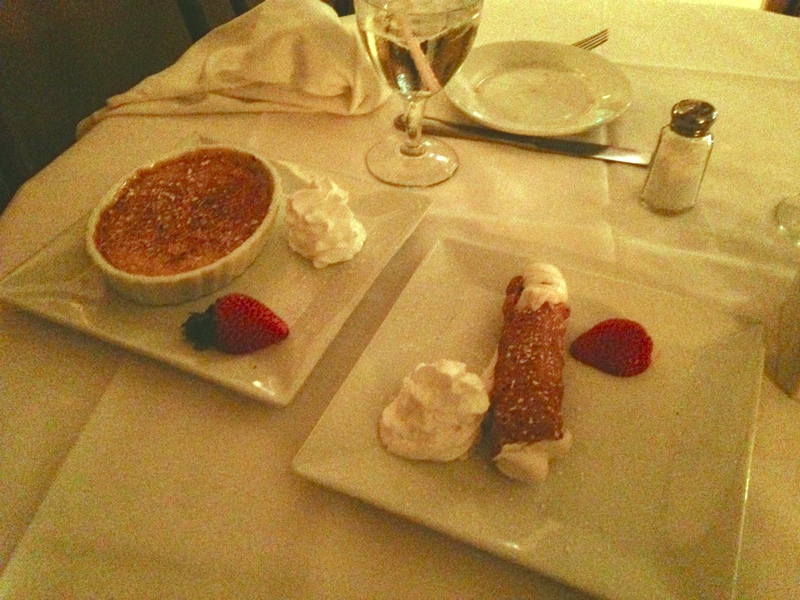 Naturally for dessert, they feature classics like an Italian canoli and even creme brûlée. 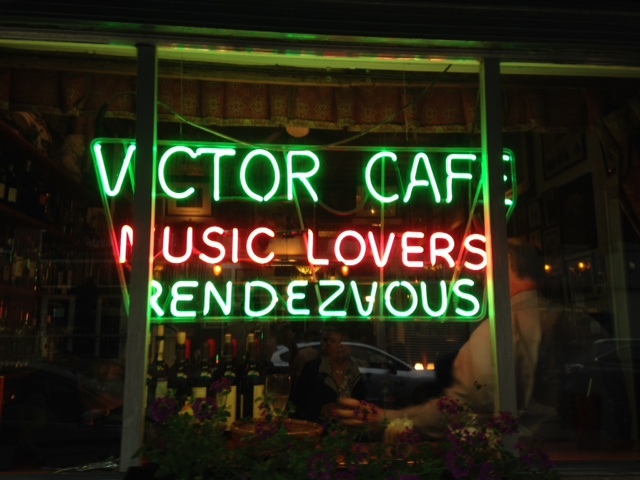 Seriously, the next time you are in Philly, you need to treat yourself and stop by the Victor Cafe. 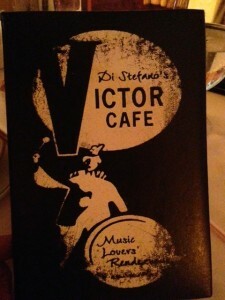 For more information visit VictorCafe.com. Make sure and follow Theme Park University on Twitter and like our Facebook Page! This entry was posted in Dinner shows, Outside The Parks and tagged Italian cuisine, opera singing servers, Philadelphia restaurant, Rocky Balboa, Sylvester Stallone, Victor Cafe. Bookmark the permalink. Trackbacks are closed, but you can post a comment.